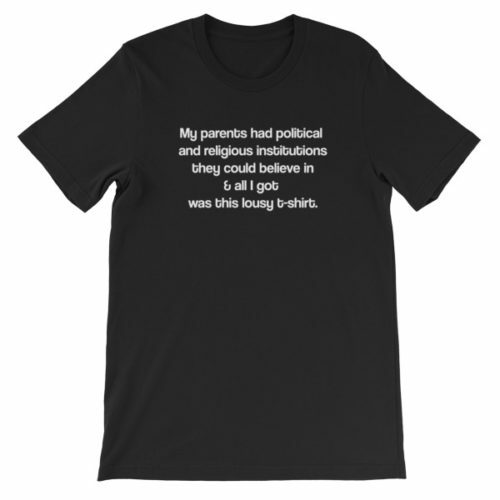 In my early days making the print version of Prehensile Tales zine (pre-internet) I made a one panel comic of a kid wearing *this* parody version of that cliche phrase. So many people said they liked it that I actually had shirts printed. I can remember trying to sell them at a parking lot at a Jerry Garcia concert. I learned some harsh lessons about retail that summer.